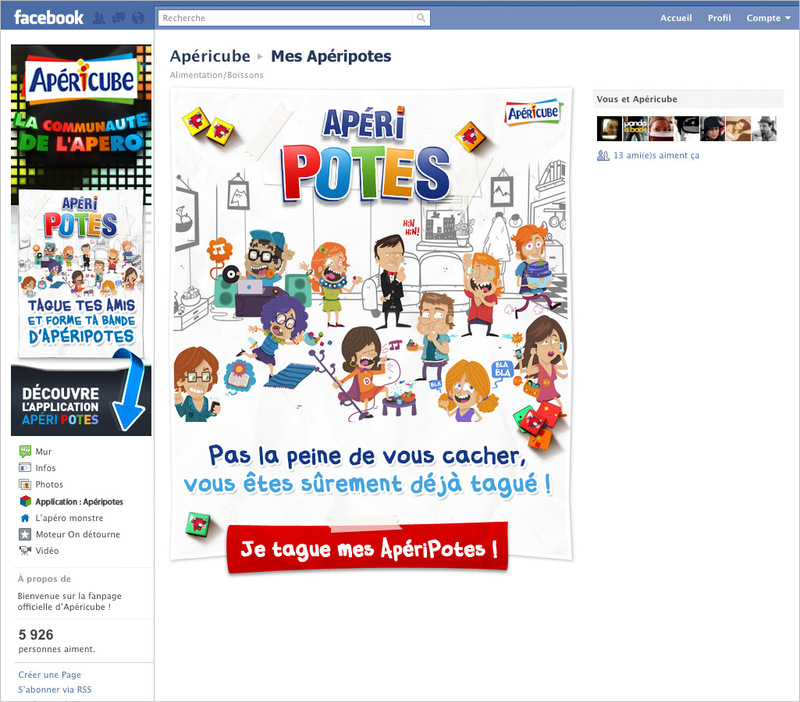 Apéripotes is a sustainable Facebook Application who capitalise on the Facebook tag trends. The tone is ironic with plently humor on graphics and writing. When your friend is tagged, he’s introduced like a funny-freaks avatar. 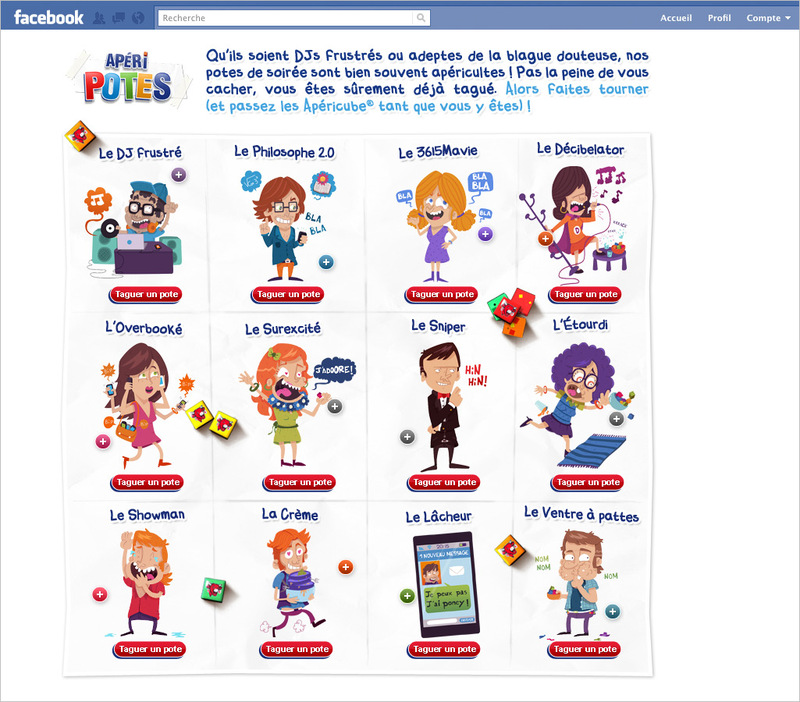 The result is updated on Facebook Timeline. I was the art director responsible for design production and final product quality. App design : co-working with copyrighter. This step included univers definition and functional guidelines. Art direction : interface designing, declinations and final product quality. 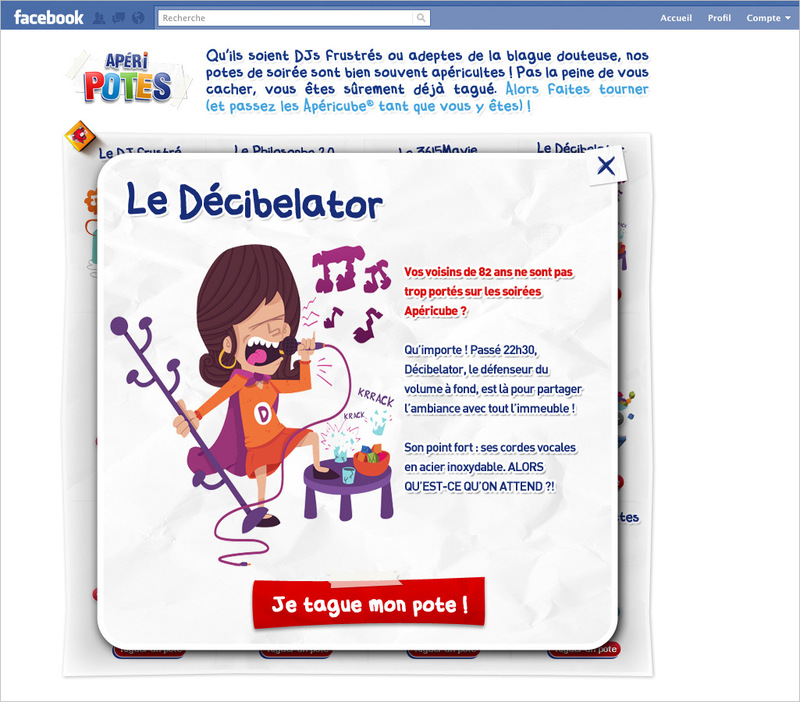 This entry was posted in Digital Art Direction and tagged Apéricube, App, Application, Bel, Digital, F2P, Facebook, Free to play, Web Digital Art Direction by François Soulignac. Bookmark the permalink.